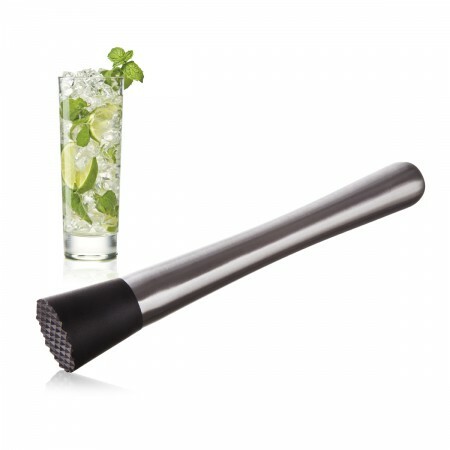 With this cocktail set you always have your most important cocktail tools within reach. This set consists of a muddler, special tong and a jigger. 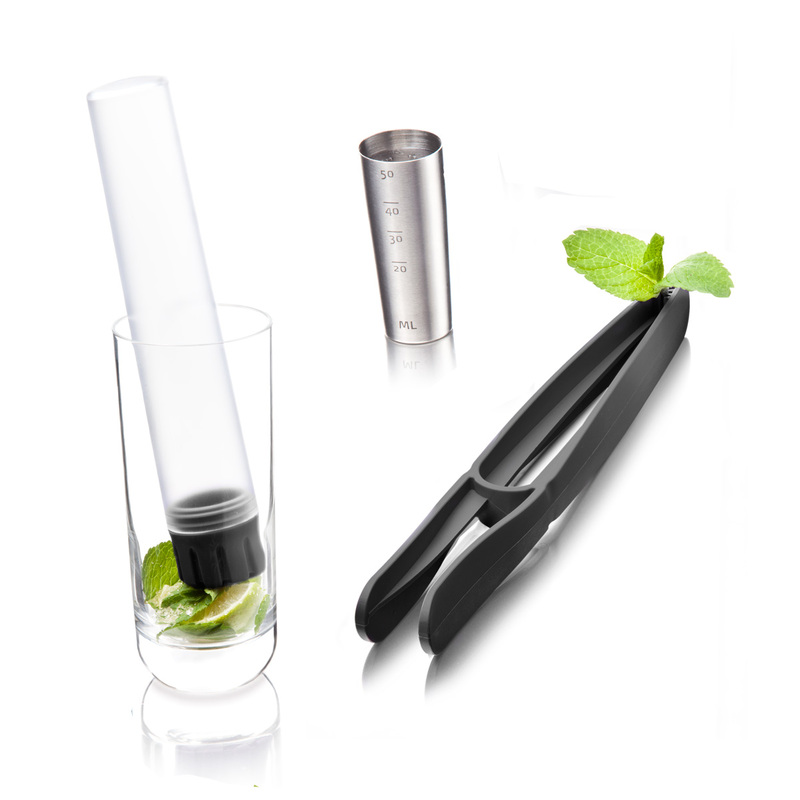 Due to its practical design these 3 handy tools can be kept conveniently together.